Cooking with Joey: Big Gay Ice Cream! I first heard of The Big Gay Ice Cream Truck in New York City on a Cooking Channel show called Eat Street. During the TV segment, I noticed someone wearing a Big Gay Ice Cream T Shirt and immediately wanted one. So I googled them, found that they sell merchandise, and bought one. (This is how I discovered that I could sell my own merchandise, hence the Cooking with Joey online gift shop!) Ever since then, I've been wanting to go to New York to have some Big Gay Ice Cream. They do all sorts of non-traditional toppings over traditional soft serve ice cream, such as sea salt, wasabi dust, Trix cereal, curry, and olive oil. I know, I know...crazy, right? And it's all done with a sense of playful fun. (They have a signature flavor called the Bea Arthur. How could you not love that?) Part of me was intrigued to try the "thinking outside the box" toppings, but another part of me just loved the fact that two gay guys decided to buy an ice cream truck, call it Big Gay Ice cream, and make ice cream the way THEY like it. So fun! 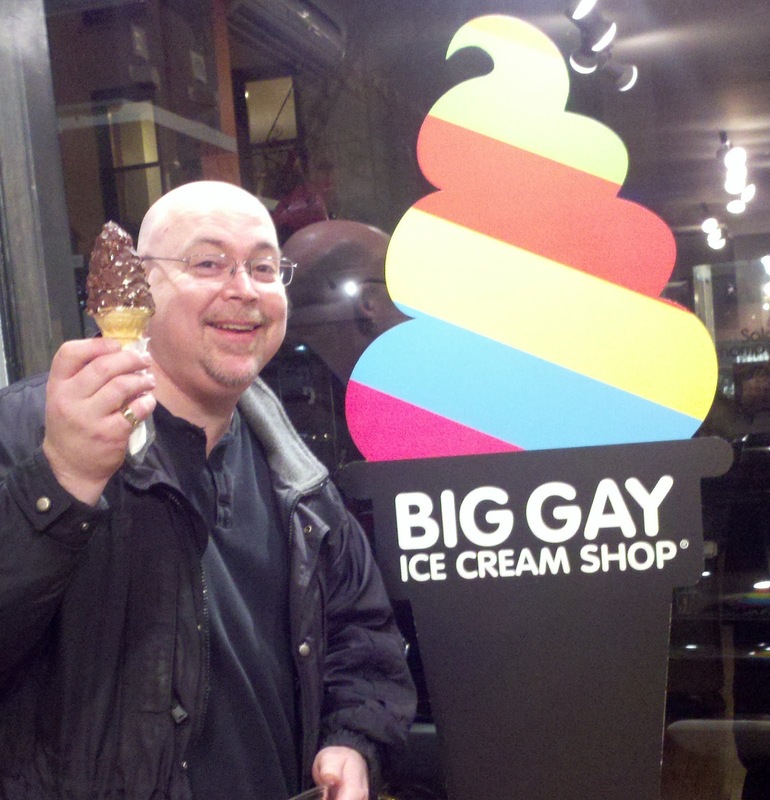 So, if you're ever in New York City, you should stop by 125 E 7th street and have some Big Gay Ice Cream. I did, and I'll definitely be going back!! Good Times!